My birthday held an extra special surprise this year; because…… my good friend Diana stopped by to see me. 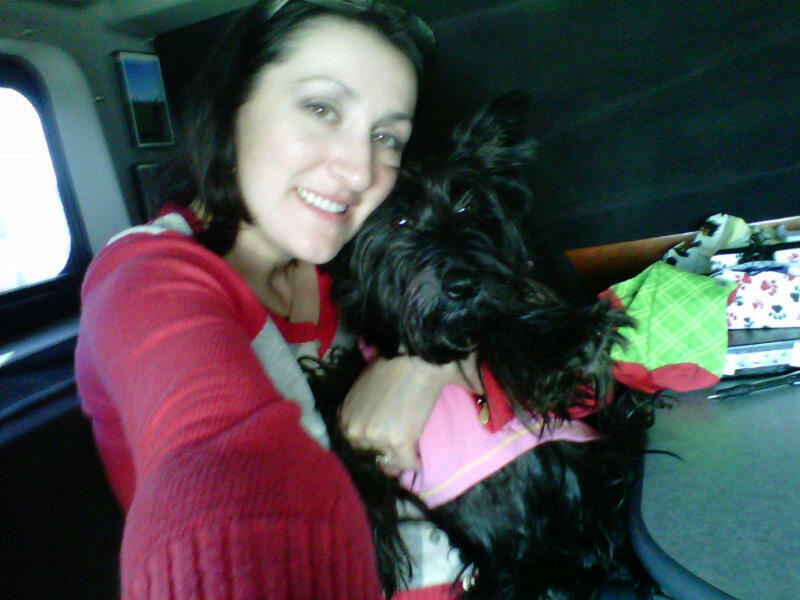 In tow was her sweet Scottie Jazzi, yes the blogging sensation Jazzi. It is always a special moment when you can meet one of your bloggy buddies in person. If you’re like me than this network of individuals has become an important part of life. After reading Jazzi’s blog the first time I knew that Diana and I were kindred spirits. Anyone who shares their life with a diva Scottie is alright in my book. When living with a Scottie you must understand that you are just a little below them in the scheme of things. We had such a wonderful visit, I am so thankful that she was able to share so much of her time with me and Pippi. I have to say that I fell for Jazzi, shocking right; it was hard to tell the two girls apart. I have never been around another Scottie that looked so much like Pippi. They are very close in age as well, just a few weeks. Although they are from different breeders it’s just too hard to believe that they don’t share a relative. Diana and I can just pretend they are sisters. There were just not enough minutes in the day for me to steal kisses and snuggles. Unlike Pippi, Jazzi gives up the kisses. Pippi is very stingy with her smooches; at least to me. Not only did Diana come by with Jazzi and her grandson, Kaleb, but a load of presents too. I, of course, didn’t take pictures of a single one before heading for vacation. Lucky for me Diana passed onto me a wonderful little gem from her own craft room. A few months ago she posted up about a file holder with handles, all Scottie-fied. I have been searching for one since. You can image how I squealed when I unwrapped this gem. You have no idea amazing this thing is for the truck. I am so thankful to have Diana in my life and can’t wait to come back for more squeezes. 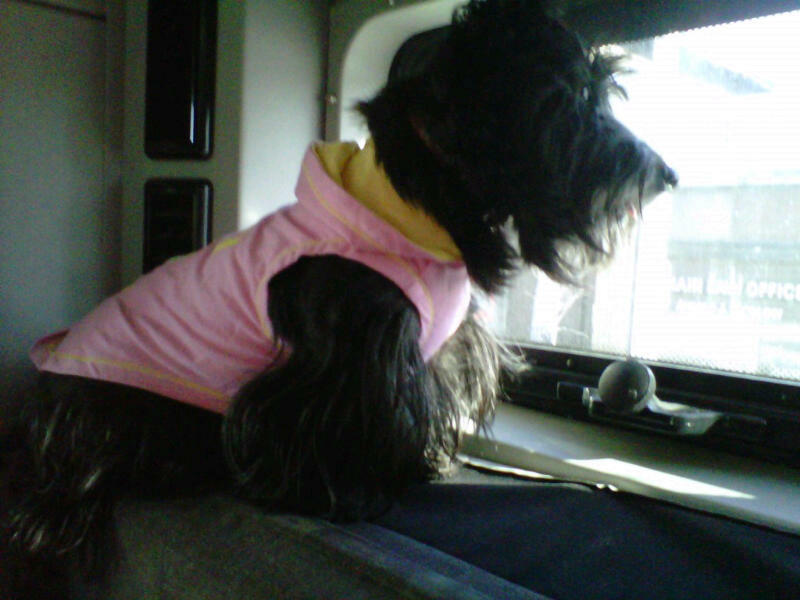 This entry was posted in dogs, Pippi, Scottie Stuff. Bookmark the permalink. What a wonderful pressie!! I was there with you in spirit – I knew you would love each other. We need to have a big ole blogging Scottie reunion somewhere this Summer. Merry Christmas to you, Josh and sweet Pippi. 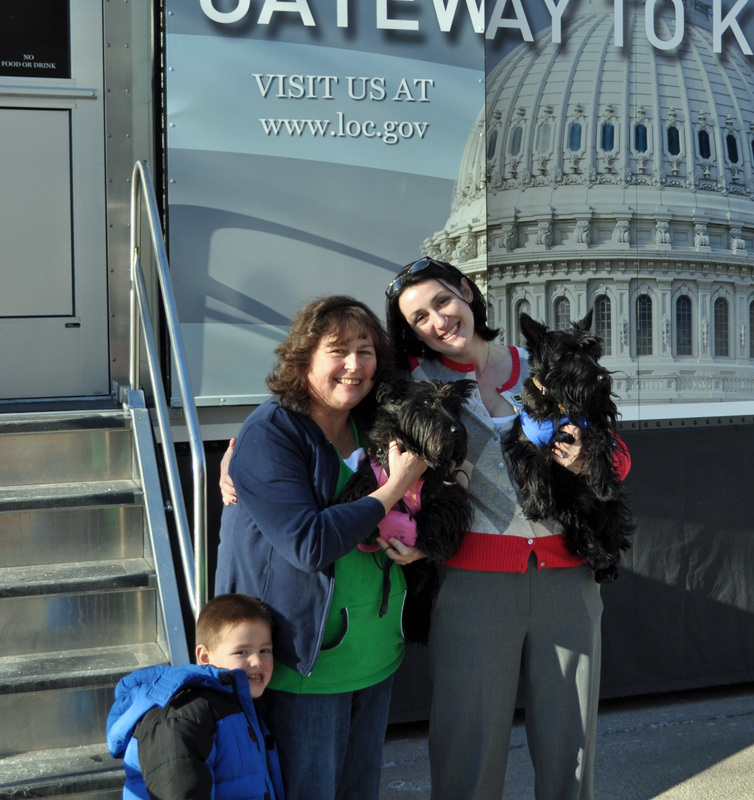 We LOVED meeting you and Pippi too. They are indeed sisters and Jazzi couldnt have a better sis!! HAve a great Christmas! !